Riebeek requires that learners and parents download the Riebeek d6 to allow for ease of communication. The Desktop Communicator is a lightweight application that runs on every parent's computer. Information is automatically updated every time the school adds new content, even when the Communicator is not currently running. The Communicator launches every morning, so parents see your school news at least once a day. 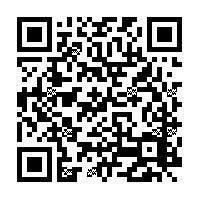 The School Communicator is also available on mobile phone. So no matter where your parents are, they're never out of touch. We offer custom mobile applications for iPhone, Android and BlackBerry. And for everyone else there’s our mobi site, accessible by virtually any internet enabled phone. Click here for access to the d6 school communicator download page. “The journey is the teacher,”said Bernadette Maguire (Old Girl and a Carte Blanche producer) at Riebeek’s Founder’s Day celebrating the distinguished dame’s 138th year of teaching young ladies. A packed hall of “girls” agreed wholeheartedly that Riebeek’s teachings take you far. All speak highly of the spirited principal, Old Girl and visionary, Mrs Marilyn Woods who has been described in the media as “calm, matter of fact and the school’s rock”. They speak of the calibre of staff who have directed them on the straight and narrow with their passion and care. They reminisce about stay-awakes, memorable lessons, inter-house rivalry, hockey tours,piles of donated goods for a cause and they all respond to the angelic voices of Riebeek’s legendary choir. The journey begins with bright and timid Grade 4s and runs its winding course to the farewell tunnel at the nostalgic Valedictory Service. Along the way, every girl is taught that she is valued, that she belongs and that she is receiving a quality education on a journey where purpose drives the school’s programme. Bravery, resilience, compassion, involvement are what the Riebeek journey teaches. 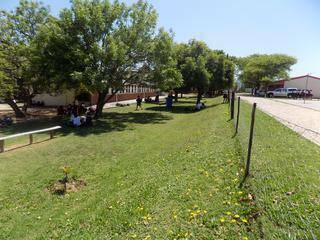 It is the “road less travelled” that teaches best at Riebeek. Christian school that practices religious tolerance and focusses on good morals and the fruit of the spirit. School has over fourteen clubs and societies, achieves remarkable academic success and offers swimming, hockey and tennis. Thus, the school is balanced in terms of cultural, service, leadership, academic and sporting pursuits. There is something for everyone at Riebeek and the girls are encouraged to shine bright like a diamond. Bachelor Pass Rate achieved over the last five years has been excellent and Riebeek Old Girls are perfectly prepared to enter tertiary institutions with the right skills and work ethic to succeed. The annual school fees are reasonable and highly competitive. Riebeek is listed as one of the top 25 schools in the FairLady survey. 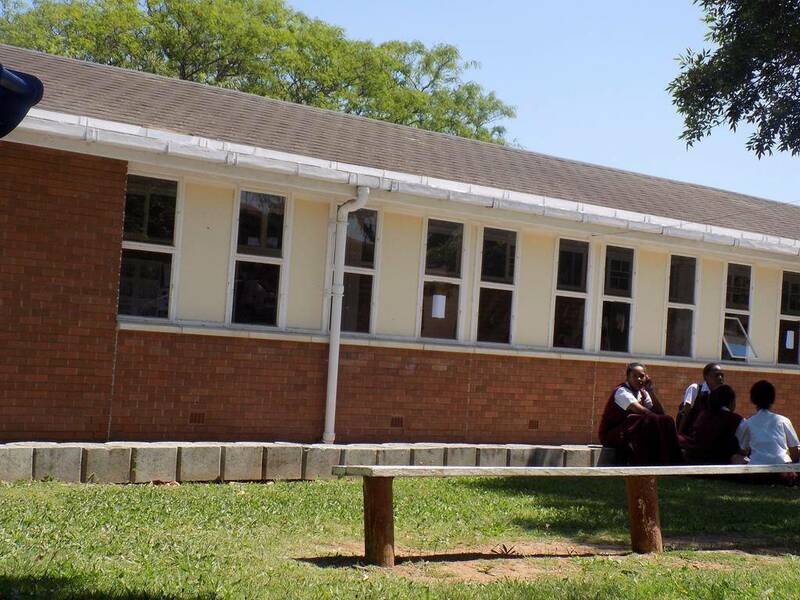 As an all girls school that has a junior and senior school occupying the same building, we are in a unique position as we have the opportunity to mould over a school career young ladies who can contribute positively to society. We have a hostel and are thus able to offer accommodation to borders. 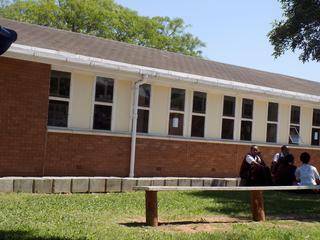 We have adequate facilities although the building was not designed for the high enrolment of the school. The school has a sound and impressive academic record and relationship with the community and a good image based on the educational excellence and sound morals and values we instill in our learners. The educators, management team and governing body are all committed and passionate about their involvement. 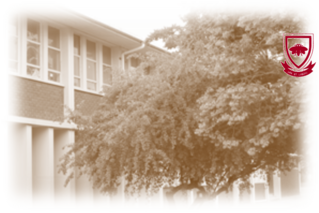 Riebeek’s College’s vision is to maintain our high standards. The developmental vision of Riebeek College is encapsulated in the words of Jack Welch in Lessons in Leadership (2008) and so those involved in the development of Riebeek College will each continue to strive to be a “listening, trusting person with the courage to have discipline”. 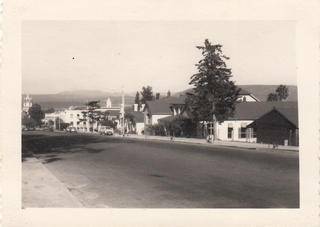 Riebeek is intimately involved in the community it serves. Our “Trustees of Humanity ” Social Responsibility and Social Upliftment” drive is essential to assist our community and to teach our learners empathy. Thus, we will continue with fund-raising for charities and doing acts of kindness. - a managerial structure ensuring direct contact with the parents whenever possible and necessary on an academic, behavioural or emotional level. The school has traditions handed down and developed over more than a century. These have helped to provide a positive ethos which those who have studied here value highly. Nevertheless, we change that if education is dynamic then change is inevitable. The school’s mission is to preserve much of the old yet not to be resistant to change, prepare pupils to meet the challenges of change and encourage them to act with courage in times of change. Regarding the community: to prepare the pupils to participate meaningfully in society, to instill in them a sense of responsibility to their fellow man, to inculcate in them a pride in their country and concern for the aspirations and needs of the community at large, to encourage them to pursue culturally enriching activities. Regarding personality and character training -to teach pupils to judge objectively, to encourage them to discern with wisdom and compassion, to help them to exercise self-discipline within an atmosphere of discipline and to promote high moral values and standards. Regarding the pursuit of excellence to develop the pupil according to her own abilities, to encourage self-esteem, to work purposefully according to the requirements of the curriculum, to learn to apportion time to physical exercise and leisure in addition to planned studies, to strive towards academic excellence and to develop communicative competence. Finally, this school wishes to promote the worth and dignity of all who come within its sphere. Courtesy and friendliness, together with concern, are key characteristics: “To seek the good in others and always do our best”. Why should parents consider our school? In pursuit of excellence and holistic development, Riebeek College nurtures well-rounded individuals academically, culturally, socially and by means of involvement in sport and community upliftment. At Riebeek, the learners love to learn, they have a passion for play, compassion for charity, and a craze for cultural activities. Passionate parents, supportive staff and loyal learners are definitely Riebeek’s recipes for success. 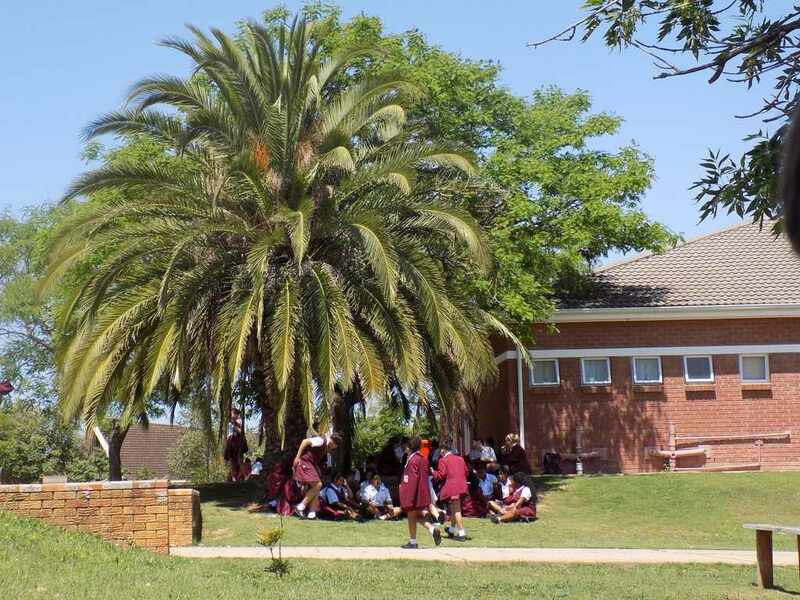 This progressive school, founded in 1877, has an encouraging “go team” approach which motivates learners to excel and achieve in a happy, safe and stimulating environment. The learners and staff at Riebeek College are as dedicated to their academics as bees are to producing honey. In addition, every learner is taught how to apportion time to physical exercise and leisure whilst pursuing culturally enriching activities. The girls are truly compassionate about their community and are steadfast supporters of numerous charities. A buzzing school calendar is the result of enthusiastic staff members and learners who value their school highly because at Riebeek, learning is fun. Please click here to download a more detailed version of the school’s mission statement regarding the community, personality developement and character training; and the pursuit of excellence. Only a plain wrist watch is allowed. No jewellery accessories of any kind are permissible. Learners will wear their own name badge at all times and under no circumstances try to be deceptive by assuming another’s identity. We honour the earth and Mother Nature with our efforts to support the environment by picking up litter and contributing towards a cleaner planet and survival of the species. At Riebeek College, 724 girls are nurtured and loved as they embrace life and learning. From Grade 4 to 12, girls are groomed to spread their wings. For the Riebeek staff it is a privilege to be part of this nine year process in which the girls take to heart the caring ethos of the school and the annual themes. This year’s theme is #TEK and embodies the characteristics of a virtuous mind: tolerance, energy and knowledge. The principal, Mrs Marilyn Woods, retires at the end of 2016 and will leave a legacy of care, energy, moral rectitude and tolerance as she has put her heart and soul into the school. 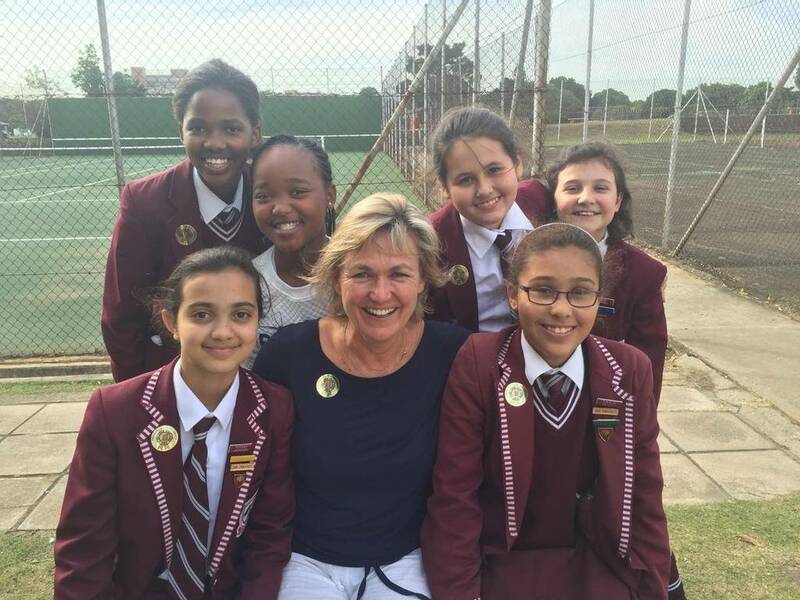 Mama Woods, as she is known to many, has amassed a mighty 56 years at Riebeek as school girl, teacher, head of department, head of the Junior School, Deputy Head and, from 2007, principal extraordinaire. When Professor Jansen, Vice Chancellor of the University of the Orange Free State, listed Riebeek as one of his top ten South African schools in combining character building and academic excellence, it was due recognition of a nurturing school. Riebeek College is celebrated for its resilience and compassion, the loyalty and success of Old Girls, its consistently strong academic results, its modest school fees and for its extraordinary programme and heart. Nelson Mandela said, “A good head and a good heart are always a formidable combination.” Riebeek College is a formidable school with strong leadership and a lot of heart. What does it mean to attend a school like Riebeek College? Firstly, it means being involved in absolutely everything. It means being as busy as our proverbial bee of the insignia on our blazer pockets. It also means nurturing and caring for others in our own community. Riebeek girls are mad about animals, street kids, old people and the sick. Our clubs promote creative talents which find outlets in our powerful drama and choir groups. We put on an annual drama festival and an annual review that showcases the talents of 60% of the school. Our choir is 70 strong. Riebeek College is a fee-paying, all-girls school with 800 girls ranging from grade 4 ”“ grade 12. 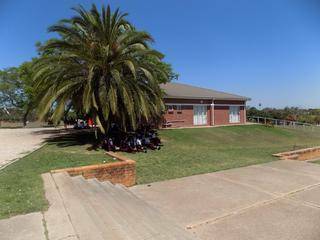 Our results are excellent: our 84 odd grade 12s manage at least 140 subject ‘A’s among them. Every year girls write Olympiads to improve their academic profiles: Science, English, Afrikaans, Maths, and general knowledge. 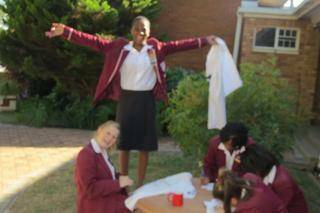 Riebeek girls regularly achieve highly in such tests. Most of our girls go on to study at Universities around the country and many of them achieve highly in the professions.She may be little but she is equal to the best!